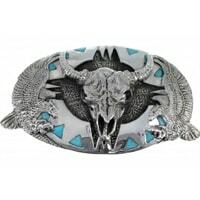 Mens belt buckles are best known for being worn by legendary cowboys and kings of the rodeo circuit. However, mens belt buckles also have a backstory as interesting and captivating as those who wear them. In the 19th century, mens belt buckles were created to replace suspenders. These buckles were mainly used to clasp leather belts together, making them a favorite of rangers and those who worked on a ranch. 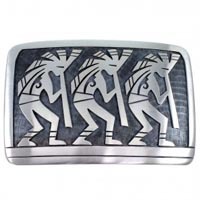 Today, mens belt buckles are worn by men of all ages and cultures. In addition, the biggest rodeo stars in the world are presented with these prized plates in honor of their ability to outlast the competition inside arenas around the country. 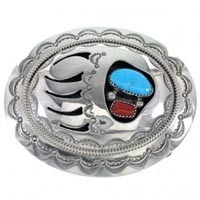 SilverTribe, the online leader in Native American and southwestern-inspired art and jewelry, has unveiled a new collection of exclusive mens belt buckles. These one-of-a-kind mens belt buckles are for the man with both a sense of style and the heart of a cowboy. 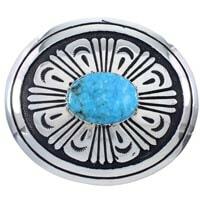 Browse or unmatched collection of turquoise, Native American and southwest mens belt buckles today! It's no surprise that mens belt buckles are associated with cowboys, ranchers and bull-fighters. Whether it's American icons like John Wayne or the rodeo riders of today, mens belt buckles continue to be a staple of southwestern-inspired wear. 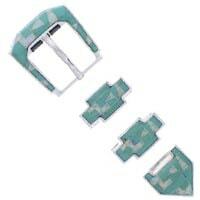 Though mens belt buckles are synonymous with the aforementioned folks, mens buckles are now becoming much more a part of popular culture. 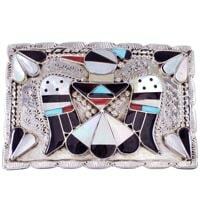 Today, men of all ages are wearing turquoise, Native American and southwest belt buckles. Whether it's only ranches of the southwest or upscale hipster locales, mens belt buckles are being prominently displayed. Mens belt buckles don't seem to be bound by any sort of limitations these days. 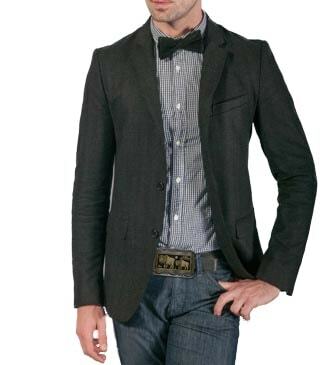 One looking to make a loud personal statement can certainly do so by adding mens belt buckles to their wardrobe. 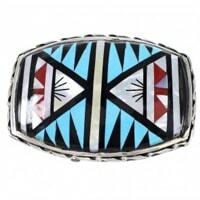 When purchasing mens belt buckles at SilverTribe, you will never have to question their authenticity. 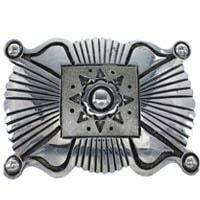 Each mens belt buckle in SilverTribe's massive collection has a distinct hint of rugged southwestern flair. What's more, the quality of the mens belt buckles housed in our vaults embodies their historic past. Every belt buckle in our collection contains sterling silver, which is renowned for its shine, strength and incredible durability. Quick scratches and dents are a thing of the past when you purchase one of the incredibly sturdy belt buckles for men from SilverTribe. 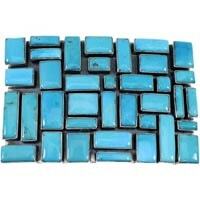 Turquoise belt buckles are typically the most coveted of all the buckles within our inventory. Along with its aesthetic value, turquoise is believed to hold many spiritual qualities that will also benefit the wearer. 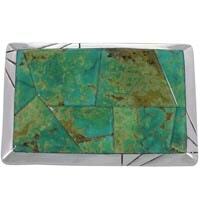 Turquoise is just one of the many stones featured in our collection. Corals, onyxes and many more will take you down an incredible historic journey that you'll want to wear every day. While browsing the mens belt buckle collection, don't forget to take a glance at our impressive collection of bolos, necklaces, watches, rings, bracelets, pendants and much more. 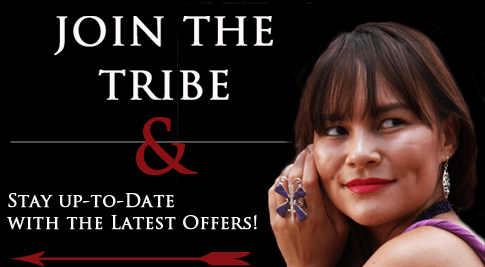 You can also become eligible for exclusive discounts, sales and promotional offers by signing up for SilverTribe's mailing lost. There's no charge to sign up and the benefits are nearly limitless. 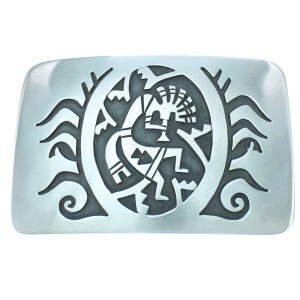 You can celebrate the past and show off your style in the present with mens belt buckles from SilverTribe!